Describing a dusty house has many adjectives. 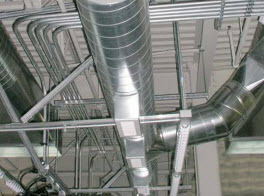 With the unadulterated amount of dust on your tables, chairs, and other surfaces and the HVAC vents looking like they have grown dust bunnies that spread under furniture. Keeping up with the volume of dust can be extremely exhausting. To help decrease dust buildup and avoid the daily struggle of dusting to only return a few hours later to a new layer of dust, there are a few things you can do. With that in mind, we at Sterling Environmental Air Duct Cleaning would like to provide some suggestions to help keep your sanity as you combat the dust by reducing the volume. 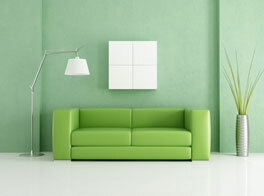 In most cleaning plans, the method to which dusting is handled is one of the biggest weaknesses. One of the most atrocious ways we control dust is by way of dry dusting. Already resting in your home is the dry pollen, dust, and all of the other debris. Only to settle a few moments later on other surfaces, dry dusting results in the debris being pushed around, allowing to fly around in the air circulation. Implement wet/damp dusting to your routine when you tackle this task. There are many contributing tools to help you damp dust such as commercial cleaners, dusting aids, as well as homemade solutions, like a diluted cider vinegar solution. Our homes are far thicker with pollutants than the outdoors as it is stuck in our ducts, on our floors, and even in our clothing with nowhere else to go. One of the biggest culprits is your shoes, when it comes to letting all of the outdoor contaminates. When they track inside your home, shoes bring in all of the debris they collected inside too since your shoes trek everywhere. To see a noticeable difference in the dust reduction inside your home, implement a shoes-off-at-the-door policy. One of the first surfaces to have dust buildup on it, is the floors. In order to control the dust, be sure to start vacuuming and mopping on a regular basis. Though the more often the better, the minimum goal is twice a week. 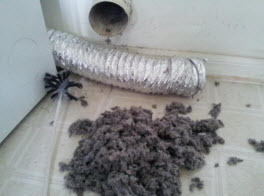 Once the dust is pushed inside your home, it often stays inside. The closed loop of your HVAC system pulls and cycles the air in your home continually, allowing the dust to be disturbed and tracked inside. The pollen and other allergens, in addition to possible mold, mildew, and other microbes are also mixed in the dust. Some of the layers continue to accumulate and then they are shed back into the air circulation, which only adds to the dust volume and decreasing the indoor air quality. 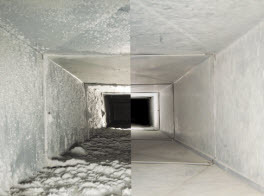 To help you combat the dust, along with your allergy and asthma attacks, especially in time for the holidays to help you and your guests comfortable, contact Sterling Environmental Air Duct Cleaning.